Johnsons of Whixley has laid the blueprint for managerial recruitment as it aims to continue its development as a business – by taking on new recruits. Located between York and Harrogate, Johnsons is one of Europe’s largest horticultural suppliers to the commercial sector, and a family business with roots stretching back almost 100 years. Johnsons continues to go from strength to strength after celebrating its most successful financial year at the end of September 2017, and is committed to investing in people as the business aims to underpin future progress by securing job succession at every level. Johnsons recently interviewed for two management trainees, who each underwent a two-stage process. The opportunities were open to candidates inside and outside of the business. The first stage was a presentation made to the senior management group on a horticultural topic that ignites their passion for the industry, while on the second day a formal interview was conducted by three members of the senior management group. Following this process, Tom Watkins and George Metcalfe have become the first two trainees to participate in the two-year management trainee programme, which Johnsons hopes will provide a vocational platform from which the business’s future leaders can emerge. 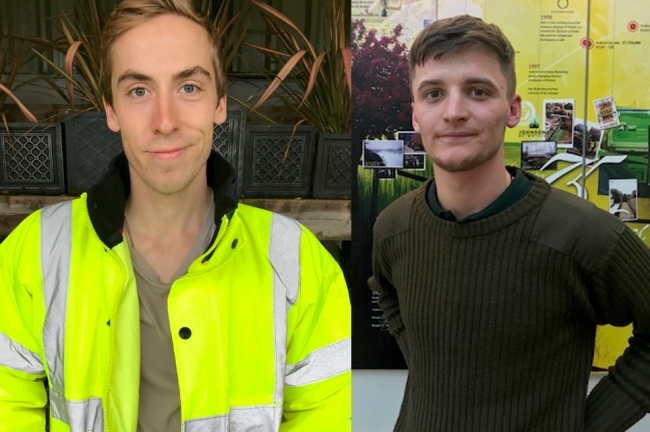 Both candidates studied for a foundation degree in Horticulture at Askham Bryan College, they have a real passion for plants, growing and developing themselves – an ideal combination for a career in Horticulture with Johnsons. Tom, aged 21, is a keen amateur boxer and 26-year-old George loves bush craft and getting out into the wilderness. Jonathan Whittemore, head of production and procurement at Johnsons of Whixley, said: “People are at the heart of what we do and in order for us to secure the long-term skills and management resource Johnsons requires, we have decided that now is an appropriate time to offer a traineeship programme. Tom and George officially began the programme last month which focuses on completing specific projects and participating in vocational learning to ultimately lead to a more in-depth understanding of how the industry, and Johnsons, operates. The programme will also see Tom and George learn across all of Johnsons’ nurseries and on other UK and European nurseries. Additionally, all participants will study for an ILM management accreditation, or similar.